This pdf file includes graphic organizers to brainstorm adjectives and verbs for the topic: Earth. 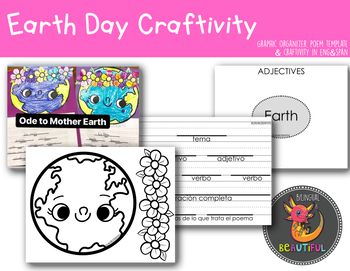 Also included is a poem template and a craftivity for Earth Day. The pdf also includes a picture example. This is available in both ENGLISH and SPANISH.